Do ridership increases in the Northeast bode well for high speed rail in California? The rail operator&#39;s recent success should end the debate over its privatization. 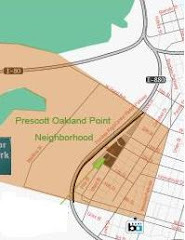 The only true source for the Neighborhood News in and around the Prescott-Oakland Point neighborhood which features Oakland’s oldest inhabited neighborhood and local historical district. SanFran – state issues glowing report: Treasure Island radiation safe . . . sort of. State health officials have declared day care and youth centers, ball fields, some residential backyards and other sites on Treasure Island safe . . . Recent years have been filled with experts decrying the sorry state of public finance in California. And with good reason. Three California cities have filed for bankruptcy protection since June. San Fran Fed Courthouse, survivor of great quake & trier of Tokyo Rose, gets National Register status. SF – Opposition to waterfront arena begins organizing? Spur blog about the effect of Park(ing) Day. SPUR and Urban Putt teamed up to build a mini-golf version of Golden Gate Park for PARK(ing) Day 2012. Photo by Sergio Ruiz. SPUR reports on elimination food deserts in San Fran. San Fran Central Subway Union Square Bd of Sup vote today, reports Curbed. Vote today on policies to ease San Fran housing crunch – reports Curbed.